Our Art Acetates are high quality prints on heatable, embossable acetate and can be used with Crystal Lacquer dimensional clear adhesive to embellish with our blends of micro glitters! Apply adhesive and glitters to printed side of acetate. 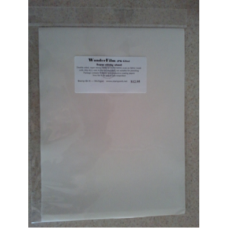 2 acetate sheets per package gives you 8 prints per pkg perfectly printed so that the sheets can be quartered and layered onto standard or larger cards, used in scrapbook pages, or trimmed and layered for breath-taking dimensional artwork!